It’s a real-life action movie: amazing footage has emerged of a Brazilian Special Operations group intercepting a boat full of drugs being smuggled into the country. The video is from the point of view [POV] of a unit member. 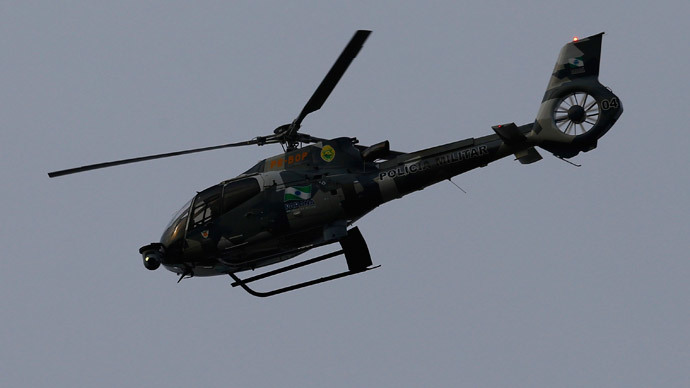 It shows the group in their chopper, flying over the vessel, and firing at the boat in an attempt to stop it. The chopper lands and events speed up: one of the group members leaves the helicopter, and runs after the smuggler who tries to flee the scene. The law enforcer threatens the smuggler with a gun, at which point the criminal surrenders falls to the ground. The last shots of the footage show the unit member searching the smuggler, detaining him, and then going towards the vessel to continue the search.